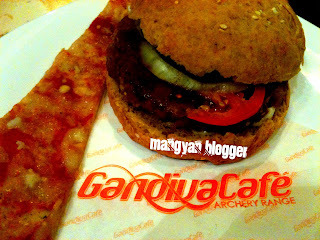 life is all about hitting targets"
The Gandiva Cafe and Archery Range is located at the 7th Floor, One Corporate Center Building, Julia Vargas corner Meralco Avenue, which offers a delightful selection of healthy, vegetarian dishes for health enthusiasts and a practice and training ground for budding archery practitioners. They called us in a bloggers event one rainy Friday night and they offered us to try the veggie pizza, veggie burger and the pesto. The slice of veggie pizza was light, with a veggie meat ham and other veggie trimmings laid into it although i wish they should have served more of this as a thin slice don’t really bite the taste palette much. Actually, this is my first time to try this vegetarian dishes, and in all fairness, I loved it! What makes me love the dishes served to us on the event, is the feeling that it's not a "fake" one. I mean, especially the burger, is even closer to the texture and taste of a real burger (with meat/beef patty). The pizza slice was yummyand definitely tastes good. 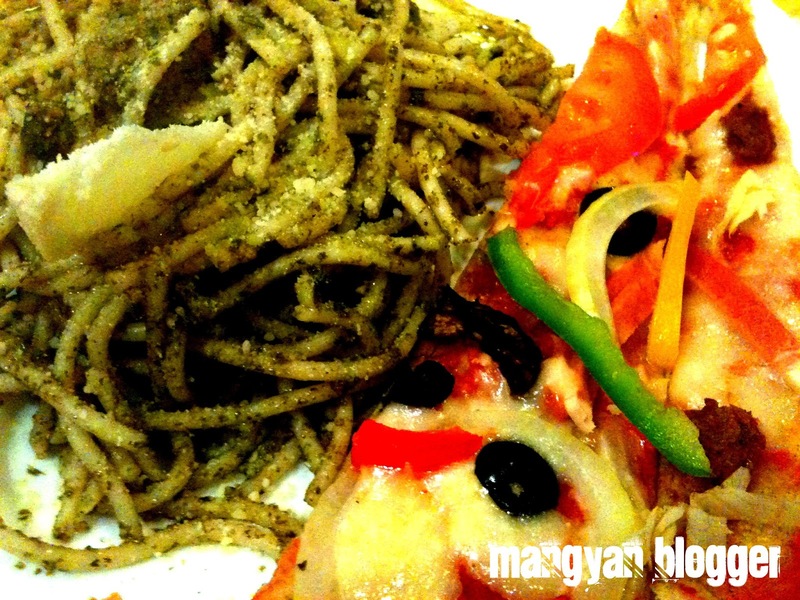 I am not particular with the taste of pesto (because I haven't tried eating it yet) but I liked what they served me. The atmosphere was clean and airy. Service was the best! Friendly staff. A big 5 star from our party! Had a delicious dinner with great bloggers, and we'll definitely go again. Everything was fresh, fairly priced & nicely portioned. We didn't order anything without exclaiming that we'd have to have it again. Archery is a fun and relaxing hobby that men and women of all ages can enjoy. Archery is a quiet, solitary sport that can be competitive or non, and doesn't require a whole lot of physical fitness or skill when you are first starting out. Plus, you are filled with a great sense of satisfaction when you release your arrow, hear it hit the target, and then see that you actually hit what you were aiming for. Gandiva Archery is open to the public and offers lessons ranging from beginner’s to advanced. This is my first time to try this kind of sports and I liked it! Many thanks to the one who assisted me for his patience and help in getting myself and some others started in the world of archery! I love his comments and insights have really made a difference to us in building our confidence and we are now seriously looking at taking the next steps. For me the one who assisted me has taken archery from something that I always wanted to do - to something I will never stop doing! If you are thinking of taking up archery I would highly recommend booking in this place and you will not regret it. Hope to be here again soon & again, many thanks for the help, patience & the food! Gandiva Archery Range and Café started because the founders and owners, a family of archery enthusiasts loved the famous Mahabharata and particularly adored the story about Arjuna and the celestial bow Gandiva. Thus, they put up their first ever archery store on 2008 at SM Mall of Asia in memory of the mighty bow Gandiva. Together with DepEd’s efforts in promoting archery on a grass-root level, we at Gandiva support Archery, a long time Olympic sport by providing technical skill and training ranges as well as sponsoring archery events among the youth. With the help of Samick from Korea, Gandiva starter bows were manufactured to provide Olympic class sport equipment for Filipino archers at reasonable prices. 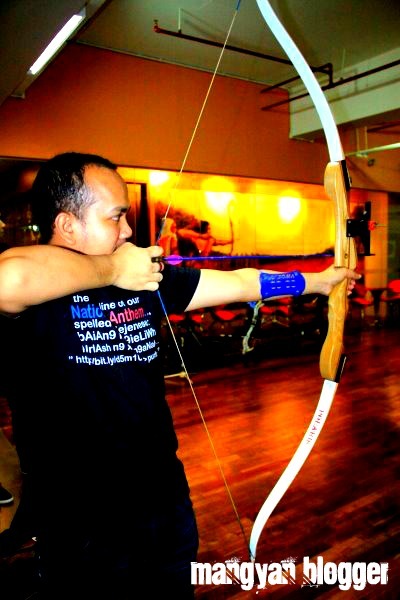 Now archery in the Philippines has become widespread and Gandiva is proud to be a part of this. Today, year 2011, Gandiva evolves to cater not only to the archers, through its archery range franchise but also to make available a whole new level of healthy eating and living to athletes and health enthusiasts. We still continue on with the advocacy to promote archery nationwide, but now we are here to offer the vegetarian lifestyle and green living through the Gandiva café. 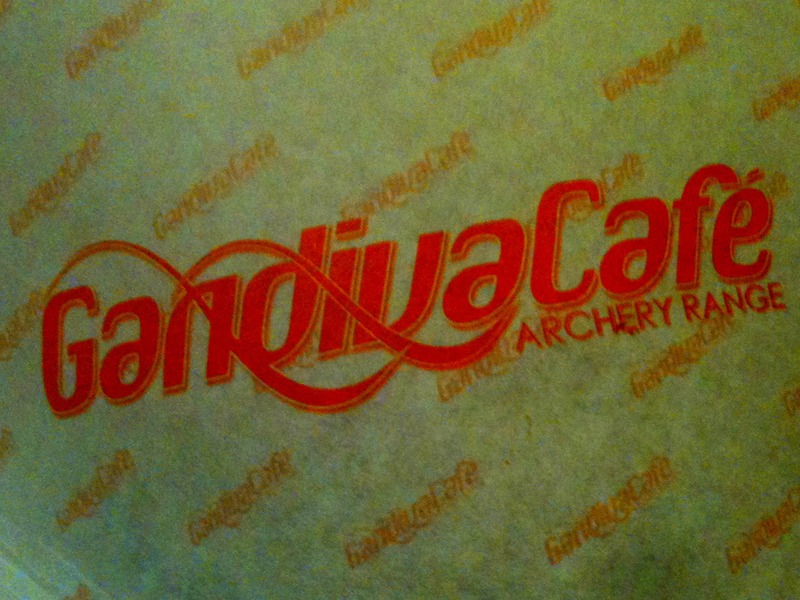 Gandiva Cafe and Archery Range is located at 7th Floor, One Corporate Center, Julia Vargas Ave cor. Meralco Ave., Ortigas, Pasig City. For inquiries and reservations, please contact : Phone: 5719000 loc 125/ 6384549/ 6388771. For more questions and informations about Gandiva Cafe and Archery Range, please log on to www.gandivasports.com, email them at gandivasports@gmail.com, follow them on Twitter - @GandivaArchery or ‘like’ Gandiva Cafe and Archery Range on Facebook. "ASAP" is still my first love I can't resist! The victims on "Bagyong Sendong" need help! 6 Days to go before my Birthday : What to do?